I like bandh days. This is the only time India goes to sleep and gets really quiet. I woke up on Saturday morning to almost complete silence. No traffic noise. No electric saw noise coming from the marble works. No calls of ‘paper’ from the paper collection boys, and no ‘tarakari’ from the walking vegetable vendors. No one was around. I had to step outside to get a glimpse of the deserted streets, a rare sight in India. There were a few people walking around, and police officers stationed here and there. But no buses. A few motorcycles. Very few cars. A few auto-rickshaws. 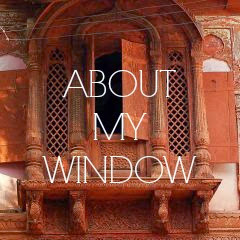 One of my very first blog posts was about the bandh which took place during my first weeks here. As I had mentioned in that post, bandh (strike) was one of the first words I learned after coming to India! Since then there have been many other bandhs – this is not something which happens on a very regular basis in Bangalore – but at least once or twice a year. But recently there have been two bandhs in the space of a little over two weeks. On September 20th there was a national bandh against ever increasing petrol prices. The bandh that happened this past Saturday was a state-level bandh, called in Karnataka. We saw this bandh coming. Every day the newspaper would report on the protests happening regarding the Cauvery water issue. The first bandh I had experienced in Bangalore was about the same issue. Water. As I had mentioned in that blog post, whoever said that future wars will be waged over water was so right. Water is a precious commodity and this is something you cannot overlook when living in India. Growing up in Canada, I took water for granted. We had the Great Lakes and Niagara Falls – lots of water! Drinking clean water from the tap is something I miss! In this post about water, I explained that we get our water delivered by a tanker. Knowing that water is limited, I’m more aware about how I use it. Before I do a load of laundry I go up to the roof, open the water tank and check to see if there’s enough water in it. If the water level gets too low, the pipes will get blocked with air and water won’t run through the taps. So I have to be careful. If there isn’t enough water in the tank, I ask the landlords to switch on the electric pump which will pump the water stored in the sump up to our tank. Sometimes they say there is no water and that they’re waiting for the tanker to arrive. In that case, I have to wait and hope they don’t take too long! Sometimes they do. And you never know when they’ll show up. The other night it was at 2am! Back to the bandh… Since Karnataka shares the Cauvery river with Tamil Nadu, water supply has been a very contentious issue for a very long time. Under a Supreme Court ruling, Karnataka is obliged to release a certain amount of water to Tamil Nadu daily. Recently there have been fierce protests against giving water to Tamil Nadu because this year the monsoon rains have not been sufficient and many farmers in Karnataka have been struggling with drought-like conditions. A precise summary of recent events can be found here. The bandh lasted only a day, but the issue is yet to be resolved. In the meantime, traffic and noise levels have gone back to ‘normal’. When I lived in India I gave myself quite a silly and way too Christian scare. I got so used to the noise on a regular basis that the first time I experienced a bandh I had a brief, mini-panic session about what if the rapture had taken place lol. Granted, I don't wake up too bright in the mornings, I did step outside and look around for signs of life. During that bandh, even the temple music wasn't playing. It was quite shocking. After realizing everyone was still alive, I laughed at myself and went on with my day. You're right, this is the only time India truly gets quiet. You're right - the silence can be deafening! Isabel - I'm de-lurking to say that I really enjoy your blog! 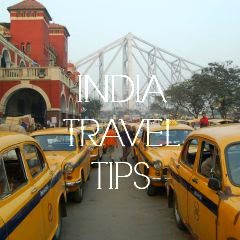 I have made three trips to India so far (North, NW and Kerula) and it still draws me back - am planning a fourth. My husband and I would love to rent a place in the South for a few months and, since reading, I'm now considering Bangalore. It seems such an interesting place to plant ourselves for a while. Hi Anna, welcome to the view from my window! 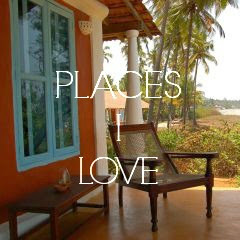 I'm glad my blog has inspired you to visit South India. we had an emergency meeting in Ozone last week.All 11 borewells in the community drying up.The water is so hard that we are not able to soften it. So,the solution is to get a reverse osmosis system for the whole community.We will get Bisleri quality water..But the cost:Rs.70lakhs!! !Residents foot the bill! Currently,the rules in our guidebook is longest related to water.huge fines for using hosepipes,extra water meter installed for each house,plants to be watered only once in 2 days,etc etc..
Water is definitely the most expensive commodity! Hi Shubha, thanks for sharing the situation in your community. It seems very serious considering that the monsoon is winding down now and there hasn't been enough rainfall to fill reservoirs and borewells.